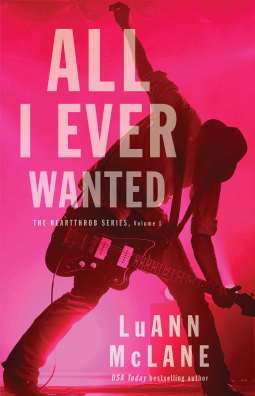 The moment I read the blurb on NetGalley, I felt the Backstreet Boys fan in me rise and beg for attention. A former teen boy band back years later, now all grown up and still hot AF? Yes, please. Sexual tension between one of the guys (men, now) and the love of his life, the ex-girlfriend who walked out on him after she thought he cheated on her, and who also happens to be the band's choreographer? Yes, please. So, I thought this book had all the elements to make this an amazing read. Unfortunately, it didn't happen quite like that. I enjoyed it, but I didn't love it as much as I had hoped. First, let me just point out that I started SCREAMING when I saw the titles. Seriously, you guys... the titles are name of songs like Larger Than Life, I Want it That Way, Incomplete.... SCREAMING!!! That was pretty awesome, if you ask me. Anyway... the story started out good with the brothers and Heartthrob band members interacting and talking about the reunion concert they were planning to raise money for a charity cause related to their late mother's condition. It was fun to watch them, because they had distinctive personalities and they acted like real brothers, getting on each other's nerves, but doing it in a loving way. The interactions between the brothers was one of my favorite thing about this book. Then, the romance story started taking shape, and while I was intrigued by it, I wasn't exactly sold. And boy band obsession and good sibling relationship or not, this is still a romance story, so the romance HAS to win me over for it to be as enjoyable as it should. I did like Grady and Arabella as individuals, and they shared some really good scenes as a couple, but the pacing kind of took my interest away from the romance. It took too long for Grady and Arabella to finally be face to face after all those years of separation, but once they were, they got back together too fast. I wanted more angst, and even a little more sexual tension. There was just something missing for me. In the end, All I Ever Wanted delivered on some of the elements that caught my attention when I first saw this book, but didn't hook me with the main element: the romance.